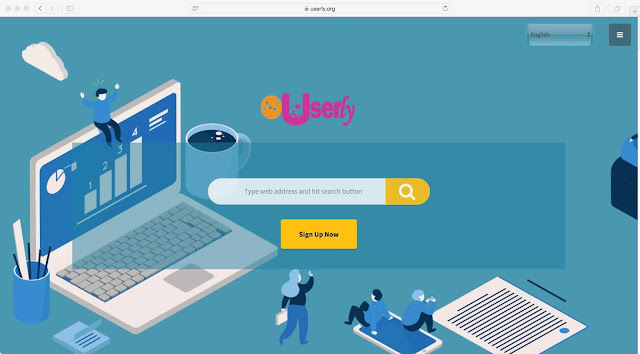 We have now updated Userly.org with several bug fixes and minor enhancements. Userly helps in search engine optimisation and visitor analytics or web analytics in general. In the case of search engine optimisation, Userly can efficiently perform link analysis, keyword position, Google Adwords scraping. In this minor enhancements, we have added fix for email template where you can see From an email in the body of the mail. The support has been enhanced. The issue with Google URL Shortener is fixed which was not showing in the member panel. Also, the code minification is made to work. Userly.org comes with free API key for more than a hundred tools. Here is a brief update on our email marketing automation platform. Our UnelmaMail is now available with German and Portuguese language. UnelmaMail already supports Spanish and English. More language capabilities are in progress. As we believe communication is global, our localization department for UnelmaMail is working extremely hard to bring more language and translation capabilities on the UnelmaMail platform. In coming weeks, we will have Finnish, Swedish, Hindi, Nepalese and Urdu language as well. Our Web Guru Awards Certificate for Guru of the Day has finally arrived. Your inspiring work and the contribution to the internet is amazing! We would like to officially certify your work. Attached is your certificate for download and print. The Certificate number on certificate is the unique number. On search bar of the website (http://webguruawards.com/) if you type your certificate number your website detail page will be displayed. Don't forget to tweet @webguruawards or Instagram us a photo on your wall of your certificate to @webguruoftheday with the hashtag #WebGuruAwards. Recently we were watching Y Combinator video and came up with these takeaways and very nice points from Sam Altman so we think these are very much relevant in any Startup companies out there. We at Unelma Platforms can relate to must of those as well. UnelmaCloud has finally become winner in Web Guru Awards 2018. 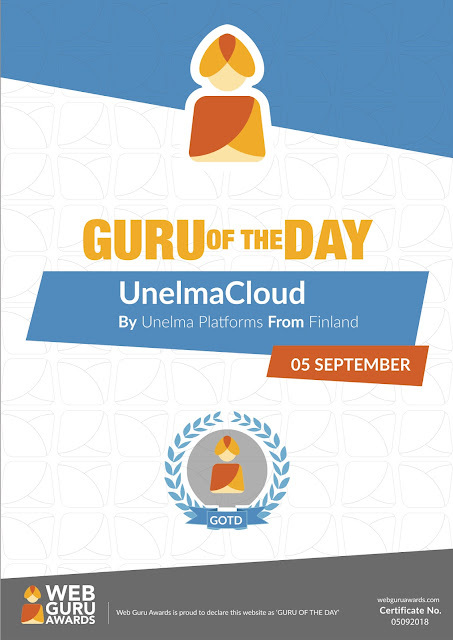 It is such an honor for us to see our cloud platform, UnelmaCloud receiving the "Guru of the Day" Award. Web Guru Awards recognizes the talent and effort of the best web designers in the world. Your website has been added to the 'Web Guru Awards' gallery. To help your website become the ‘Guru of the day’, share the link below with as many people as you possibly can. Add the 'Web Guru Awards' badge from the link below onto your website and let the world know about your success. We have been working on UnelmaMail for quite a sometime now. Last year we already launched UnelmaMail as Umail platform for email marketing automation without a landing page. So some people raised a valid question: how can you have a web app without a landing page? We were much more focused on developing the core app and not some fancy marketing landing page then. But now we have learned a business lesson. For any SaaS-based business, you must have a landing page and web app. And try to separate these two layers so that your marketing team can work on landing page whereas your technologists and developers can work on an application. UnelmaMail is the world's first AI-powered, full-featured, easy to use Email Marketing Automation Platform developed by Unelma Platforms.